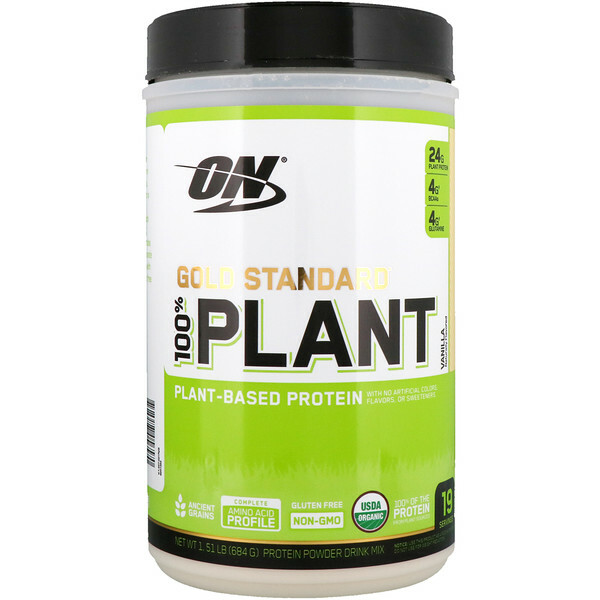 Gold Standard 100% Plant Protein was made for active adults who care about what they eat and where there nutrients come from. By combining organic pea, brown rice and sacha inchi proteins, you benefit from a complete profile of essential amino acids to support muscle recovery. Along with 24 grams of protein, each serving delivers 100% of the Daily Value of vitamin C, provides an excellent source of vitamin B12 and includes a gluten-free complex of ancient grains and pomegranate powder. 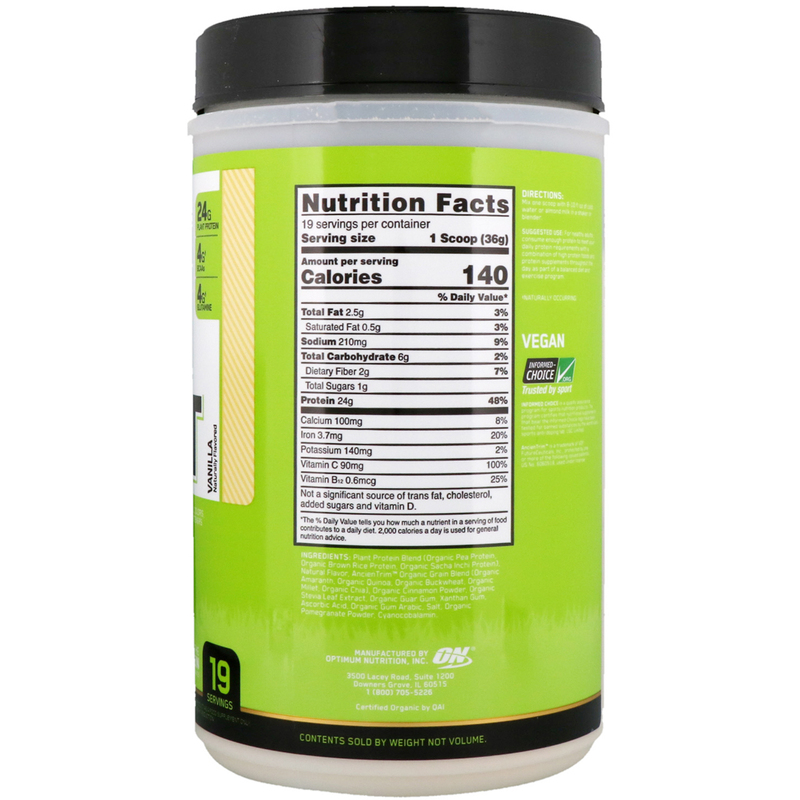 Help keep your goals and your diet on track with this USDA Certified Organic, non-GMO formula that's free of artificial color, flavors and sweeteners. Informed Choice is a quality assurance program for sports nutrition products. The program certifies that nutritional supplements that bear the Informed Choice logo have been tested for banned substances by the world class sports anti-doping lab LGC Limited. Plant protein blend (organic pea protein, organic brown rice protein, organic sacha inchi protein), natural flavor, acientrim organic grain blend (organic amaranth, organic quinoa, organic buckwheat, organic millet, organic chia), organic cinnamon powder, organic stevia leaf extract, organic guar gum, xanthan gum, ascorbic acid, organic gum arabic, salt, organic pomegranate powder, cyanocobalamin. *The % Daily Value tells you how much a nutrient in a serving food contributes to a daily diet, 2,000 calories a day is used for general nutrition advice.